A new official Intel Twitter account posted its first Tweet yesterday evening. @IntelGraphics's first Tweet was an embedded video and was timed to coincide with SIGGRAPH 2018 in Vancouver. 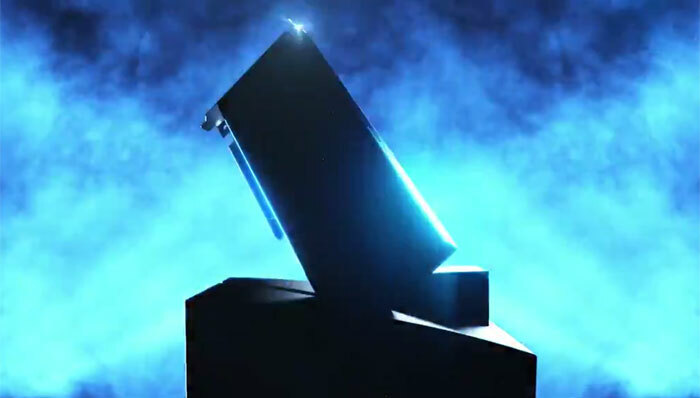 The video is pretty long for a 'teaser', at over 1 minute 20s, but it takes the time to underline Intel's past graphics achievements and firsts - before going on to promise to deliver a discrete GPU in 2020. Intel is being squeezed from multiple angles with regard to its CPU output; Arm looks to have won the mobile war (and via Qualcomm is pushing into Cellular PCs), and AMD is competing very fiercely for consumer PCs and the lucrative x86 workstation and server market. Can Intel return fire by flexing its silicon muscle in graphics? According to the video above, it can and it will. Back at CES 2018 we saw Intel's first melding of its Core architecture and AMD GPU on a single EMIB enabled package dubbed Kaby Lake G. In May, HEXUS tested one of the first PCs with one of these processors equipped, the Intel Hades Canyon NUC. It seems like the Kaby Lake G project inspired Intel to look at getting its own AMD/Nvidia rivalling GPU tech in-house for future SoC designs and even discrete graphics cards. Back to the @IntelGraphics video and Intel reminds us of its graphics-focussed successes thus far, despite the power constraints on its iGPUs. Intel introduced: the "first fully compliant DX12 graphics processor", the first Netflix 4K capable GPU, and brought eSports gaming to PCs as thin as smartphones - it claims. Finally, by 2020 Intel will set its graphics free - and that is a clear reference to producing a discrete graphics card, backed up by the video visuals you can see embedded in the video and still image above. Yes I wonder if they got some ‘ideas’ when they implemented the AMD GPU… Certainly could have afforded to have pinched enough engineers from AMD! Hard to see how Intel will manage to find a space in a highly competitive market which Nvidia and AMD seem to be filling. LMAO,no way to report driver bugs even though Intel is in charge of drivers for the Vega M GPUs they use. They really need to put more effort in driver support.